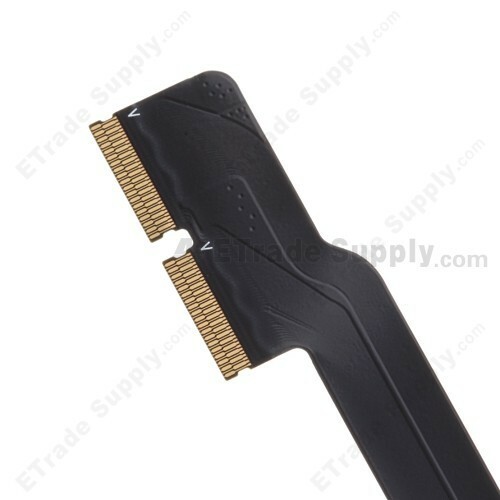 It has much differences between iPad 3 and iPad 2 in terms of Flex Cable Ribbon, such as iPad 3 Digitizer Flex Cable Ribbon is longer than that of iPad 2. 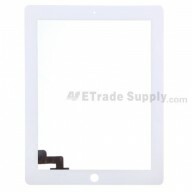 This iPad 3 Digitizer Touch Panel keeps "L" shape. 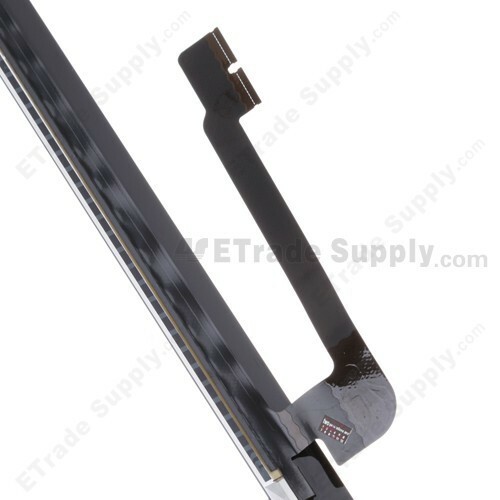 The iPad 3 digitizer comes with a functional flex ribbon that is to be connected with the motherboard or the Digitizer Screen. 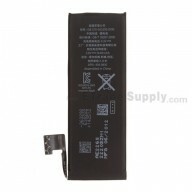 The flex ribbon is an important component. Sometimes, even a small scratch can cause functional problem of the new iPad. 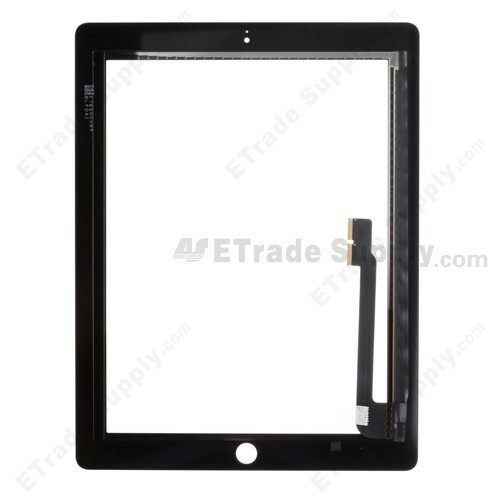 Currently there is a couple of source of iPad 3 Digitizer Touch Panel in the market: OEM brand new and high copy digitizer. 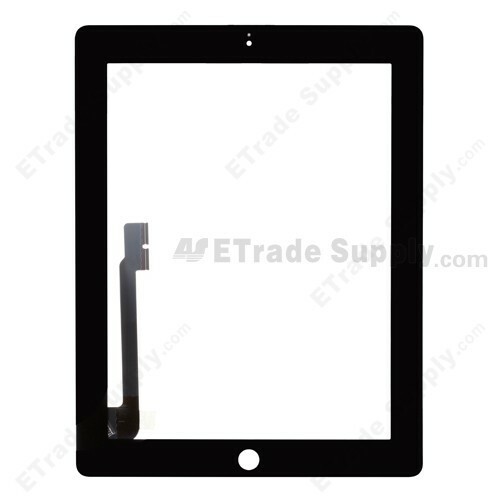 ETrade Supply offers this high copy iPad 3 Digitizer Touch Panel Which has at least twice strict QC check on both cosmetic look and functionality in order to make sure all products are 100% good. 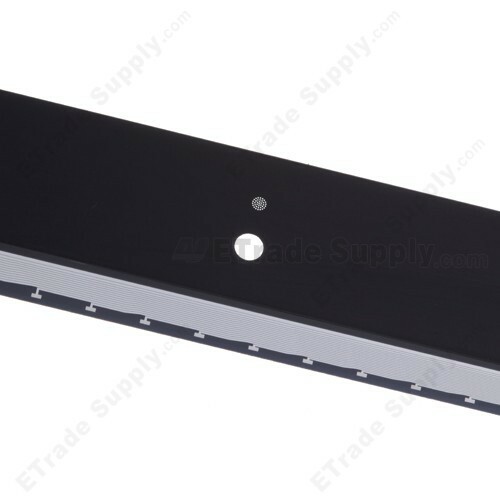 ETrade Supplyhas established the ISO9001 certified QC procedure. 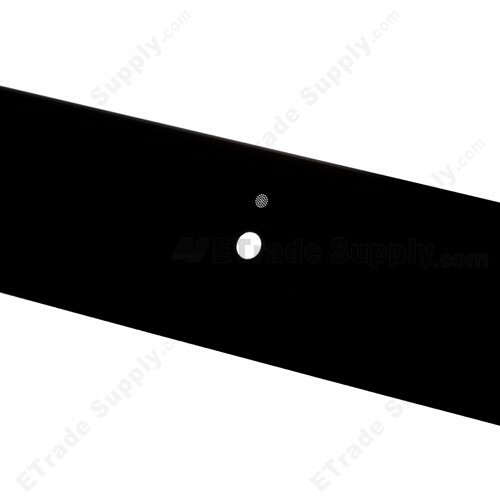 We also invent our own super-protective packaging method to give the maximum protection to iPad 3 Digitizer Touch Panel, ETrade Supply also supplies iPhone 4S replacement parts such as iPhone 4S LCD Screen and Digitizer Assembly. iPad 3 Digitizer Screen is a fragile electronic component and can be easily scratched or even damaged if improperly handled during the process of repair or replacement. ETS cannot be responsible for any possible damage caused by incorrect installation. 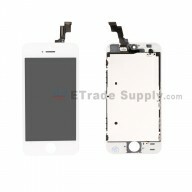 When storing Digitizers or LCD such as iPad 3 Digitizer and iPhone 3GS LCD, please try not to pile them up because too much pressure may cause damage to the digitizer or LCD screen. Also, please try to handle the repair or replacement work in dry environment without direct sunlight (the temperature should be kept between -20 ?- to +70 ?). 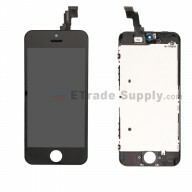 Also, please keep the the digitizer and LCD away from acid, alkali or other corrosive materials.